The Anniversary Edition mod fixes compatibility issues and allows modding. 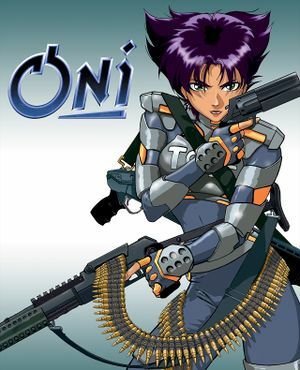 A major mod framework and patch for Oni, it allows users to manage and create mods for Oni. It also fixes many bugs left untouched by the original developers and adds modern Windows and Intel Mac support. Can be altered in Developer Mode (see OniGalore for instructions). Supported by Intel Mac build. In Windows, force through graphics card control panel. Intro and outro cutscenes run at 15 FPS, or 30 FPS with mods. Apply patch to Oni.exe depending on aspect ratio. Open Oni.exe with a hex editor such as HxD. Change the following bytes in Oni.exe. Supported in Intel Mac build. Install the Anniversary Edition to fix this issue. With displays that run higher than 60 Hz, mouse/keyboard control will be choppy. Apply patch to Oni.exe depending on monitor refresh rate. Change BA 3C 00 00 00 to 53 BA 4B 00 00 00 for 75 Hz. Change BA 3C 00 00 00 to 53 BA 55 00 00 00 for 85 Hz. Change BA 3C 00 00 00 to 53 BA 78 00 00 00 for 120 Hz. Change BA 3C 00 00 00 to 53 BA 90 00 00 00 for 144 Hz. Change BA 3C 00 00 00 to 53 BA A5 00 00 00 for 165 Hz. Change BA 3C 00 00 00 to 53 BA F0 00 00 00 for 240 Hz. ↑ Bungie Software developed the original Mac OS (PowerPC) port targeting "Classic" Mac OS 8 and 9, and utilized the Carbon API app to allow it to run on both the classic versions of the operating system as well as take advantage of some of the features of at the time upcoming Mac OS X 10.0. ↑ At the end of 2001 The Omni Group produced and released a native OS X (PowerPC) build of the game for free that utilized the Cocoa API instead, which they continued to update and support through the next two years. 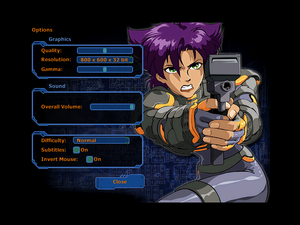 ↑ In the first half of 2011 Feral Interactive released an Intel-based build of the game based on The Omni Group's Cocoa/PowerPC-based source code. ↑ December 18, 2001 is the release date for the first Cocoa API-based build of the game released by The Omni Group that brought with it native OS X support for PowerPC CPUs. ↑ April 5, 2011 is the release date for the first semi public patch released by Feral Interactive that brought with it native support for Intel CPUs.